European Blackjack Gold is a stellar offering from Microgaming, the world's leader in online gambling software. It is a European-style version of the blackjack game that everyone is familiar with, as it has many of the same rules variations one might find in playing at a casino on "the continent." 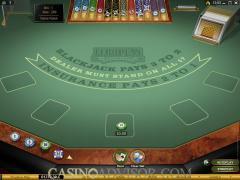 At the same time, it is not alien to anyone who has played blackjack in America. 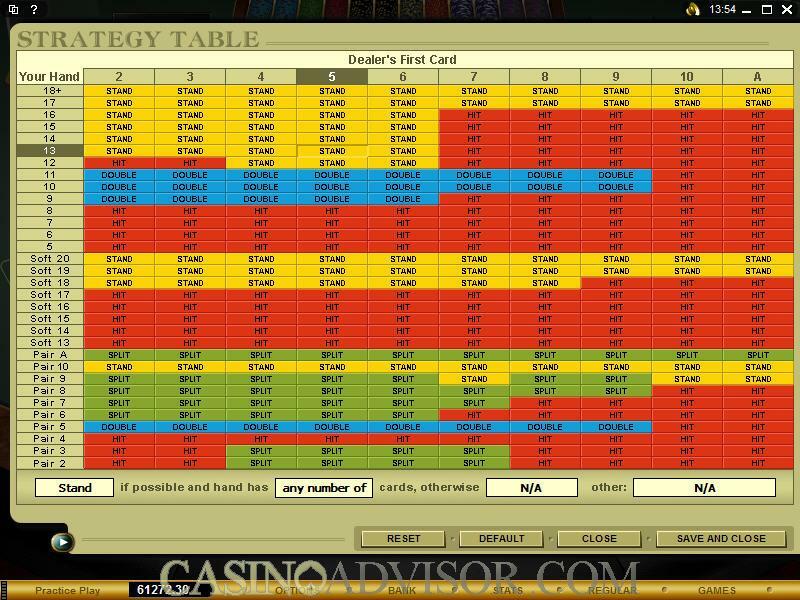 In this game, as it is packaged in the software, the player can adjust for speed, exercise game options such as Auto-Rebet and Quick Deal, punch up game stats in real time, and refer to advanced strategy tables that determine the moves the player makes in Autoplay mode and can actually be customized to allow for the testing of a strategy to beat the dealer. European Blackjack Gold is a game that is designed to simulate the experience of playing blackjack in a real European casino. Therefore it reflects subtle rules differences, some of which are detailed in the game rules below. The objective in blackjack is to compile a total in your hand that exceeds that of the dealer without going over 21, or to stay under 21 while the dealer "busts" (goes over that total). In other words, the object is to beat the dealer in whatever manner is possible. The hands are dealt out and when the play is finished on each round, the two decks are reshuffled before the cards are dealt again. Aces have a value of either one or 11, and face cards carry a value of ten, which is no departure form the way blackjack is played anywhere in the world. 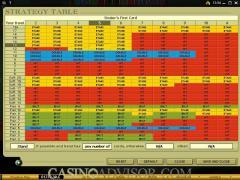 Interested in reading more detailed information about Gold Series Euro Blackjack? If so Click Here for more details.